Tips from Titus Contracting on the best ways to prepare and plan for your upcoming kitchen renovation project. So you are starting to plan your kitchen renovation for your Twin Cities home. Maybe you have a few ideas in mind, but you aren’t sure where to start. Here are a few stylish and simple kitchen renovation suggestions on what to think about when designing your new kitchen. What do you need out of your new kitchen? Do you need more space for preparing meals? Do you want more space to entertain? Have you always wanted a wine cooler or an extra oven? Start looking at photos of other people’s kitchens to get ideas and inspiration for your kitchen renovation. Keep them all in one place so you can look at them for future reference. You might want to refer back to them when you are working with us and planning your kitchen renovation. After you have thought about what you want in your kitchen renovation, take a look at your budget. What can you afford to splurge on, and what do you want to try to save some money on? If you really want that wine cooler, maybe you can swing it if you don’t get the extra oven. 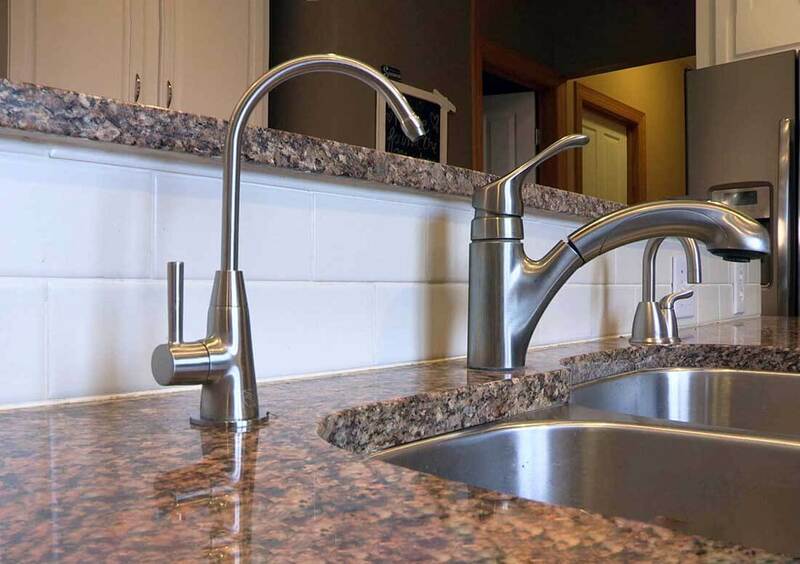 A kitchen renovation company like Titus Contracting will always do our best to stay within your budget. You should also have a time frame in mind, but remember it’s important to stay flexible with your timeline. Start looking at samples online and start getting an idea of the style or pattern you’d like for your new kitchen. If you may be selling your home sometime in the future, become familiar with the latest in kitchen and home remodeling trends. Now that you have an idea of what you want and how much you can spend, start looking at specific features for your new kitchen. If you have always loved granite countertops, now is a great time to look into them further for your kitchen renovation. Choose the right countertop material to maximize enjoyment and resale value. Some materials speak of elegance and sophistication like a granite countertop, others create a homey and country look, opting for wood in a dry prep or pantry area. The same goes for your cabinetry and flooring. You can even start looking at smaller fixtures, like lighting and cabinet door knobs. The more you know about what you want in your new kitchen renovation, the easier the design process can be. From tile to hardwood, you have many kitchen flooring options; work with a skilled designer to find the right flooring for your kitchen. There are many things to consider when selecting your backsplash tile. The biggest driver is usually budget. There is not usually a lot of tiles involved in a backsplash so often the allowance per square foot is set fairly high to allow a client a lot of latitude when making a decision on the tile to be used. At Titus Contracting, the typical backsplash material we see runs in the $8 – $20/SF range. It can be more if you add in an accent tile for decoration or a contrasting edge finish. Tile medallions can offer a very cool focal point to a tiled kitchen wall but are often quite pricey. Usually, the medallion will be placed over the range area to bring more focus to the range and hood area. With the kitchen being a workspace for preparing meals as well as entertaining, consider a bright and open kitchen design. Your kitchen lighting should be at multiple levels around the room: eye level, ceiling height, or many like light mounted under the upper portion of cabinets. Direct the task lighting onto each specific task area such as where you prepare food and read recipies; pot lights are particularly effective. We hope this gives you a few jumping off points for your kitchen renovation design plans and ideas. Of course, when you work with us at Titus Contracting, we can help with all aspects of your kitchen renovation from start to finish. Are you interested in starting a kitchen renovation in your Twin Cites home? Check out a beautiful kitchen remodel that we recently completed. Call Titus Contracting at (952) 444-2301 or you can contact us to Schedule a Consultation.